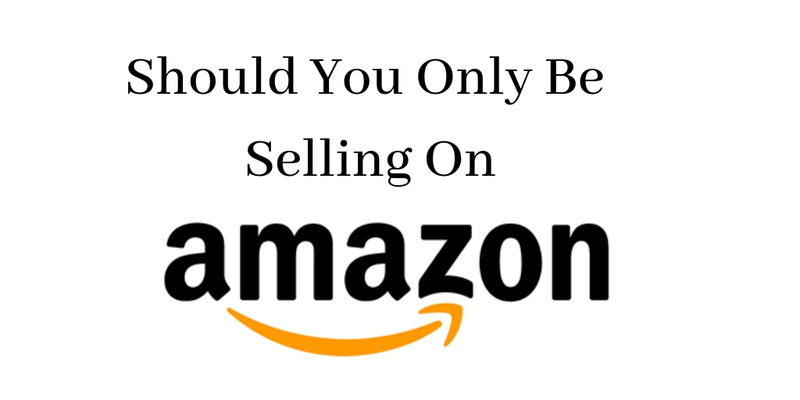 Should You Only Be Selling on Amazon? Set up your Amazon store. Wait for Amazon to deliver your products. It only takes these four steps to get your Amazon store up and running, and chances are you’ll receive orders from day one. On the surface, selling on Amazon seems like a highly lucrative walk in the park. But in business, anything that comes easily will have a ton of competition and risk. Tens of thousands of other merchants are selling similar products on Amazon, as well as on other marketplaces like Flipkart and eBay. This leads to lower prices all around, which can take a heavy toll on your profits. So should you still be selling only on Amazon? To answer this question, we first need to understand the pros and cons of selling on Amazon. 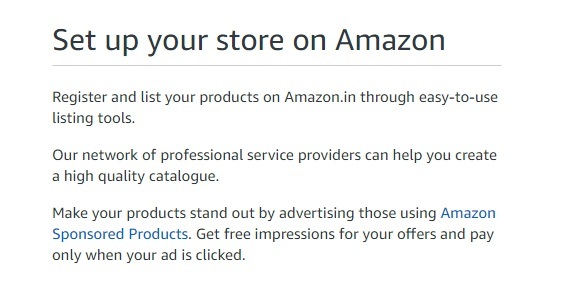 As mentioned above, selling on Amazon is easy, especially because there are no entry barriers. On top of that, if you aren’t familiar with selling on Amazon, the Amazon seller helpline will guide you through the entire process. This makes selling easier even for merchants with little knowledge in online retailing. Amazon is one of the world’s largest online retailers. Every day, millions of customers shop on Amazon, which means your products can be seen by thousands of people each month. This increases your sales even without marketing. The best part of selling on Amazon is you can start receiving orders from day one. Customers looking for products on Amazon focus on price and reviews instead of sellers’ details. If the price of your product is competitive, you’ll likely win the sale. Amazon handles the headache of shipping for you: you receive the order and someone else comes to your store, picks up the product, and delivers it straight to the customer. You get fast, stress-free shipping for your business and your customers enjoy excellent service! Fulfillment by Amazon is a program through which you stock your products in Amazon’s fulfillment centers. Whenever a customer buys your product, Amazon ships it, allowing you to focus on running your business while they do the heavy lifting for you. Other benefits of FBA include extending your reach to Amazon prime members and increasing your odds of winning the buy box on products sold by other merchants. The buy box is a button on a product page where customers click to purchase an item—in this case, “Add to Cart”. When your customers search for a product, the product page displays offers from other merchants selling the same item. If more merchants are selling the same product, the competition will be higher and your chances of winning the buy box decrease. Unless your products are unique or incredibly cheap, you won’t always win the sale. Who wins the buy box? Winning the buy box is difficult. Amazon takes several eCommerce factors into account to rank merchants and choose featured sellers. Amazon wants to give customers the best shopping experience, so as a seller, you need to offer the best price, quality, and shipping options on your products. Product pricing – All customers love low prices, so your product prices should be lower than your competitors’. Shipping – Consider a scenario in which two sellers are offering the same product at the same price. In this case, the differentiator is the shipping cost. If one seller offers free shipping while the other charges a shipping cost, the first seller will likely win the buy box. Reviews and ratings – Product reviews have a huge impact on sales. Products with more reviews and better ratings rank higher in Amazon’s search results. Your history as an Amazon seller – Sellers with a long, positive history of selling on Amazon have a higher chance of winning that coveted buy box. Fulfillment by Amazon – If you’re handling shipping yourself, you won’t have much chance of winning the buy box. FBA products are prioritized because they ship the next day, whereas non-FBA shipping may take up to three or four days. In short, if you’re selling the same products as other merchants, don’t expect to win the buy box without a competitive edge. When you set up your Amazon store, you may face some product photography costs. Many naive sellers who sell the same product may copy your product images and descriptions to avoid these costs and steal your sales by keeping their prices lower than yours. 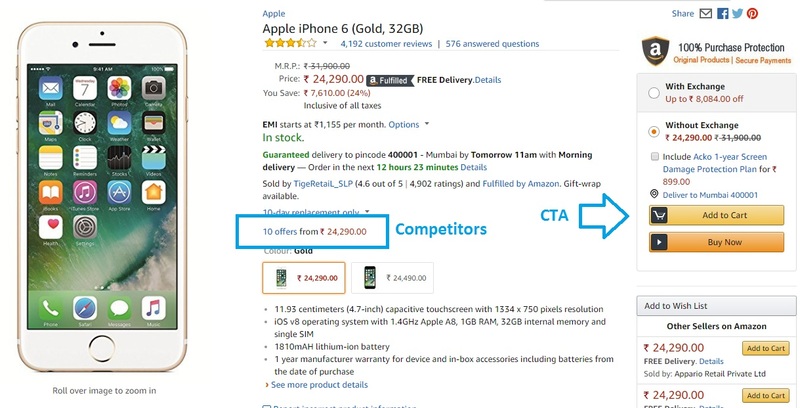 Buyers on Amazon search for products, not for brands or sellers. Your products may sell like hot cakes, but you still won’t reach your full sales potential because you can’t reach out to your customers and drive repeat purchases. Amazon charges fees for every product you sell (referral, closing, and shipping), so be prepared to see them cut into your profits. On top of that, there’s an 18% GST on these fees. Let’s calculate how much you would spend in fees to sell a Rs. 700 T-shirt on Amazon. The referral fee for apparels is 17% (Rs. 120) and the closing fee is Rs. 20. The shipping charges are Rs. 60. This adds up to Rs. 200. An 18% GST on that would be Rs. 236, so at the end of the day, you’re paying Rs. 436 in fees and taxes. This takes a huge toll on your profit margins; you’re losing almost 30% of the product price in fees! On top of that, Amazon includes the GST in its prices. After deducting the GST, selling a product worth Rs. 700 leaves you with about Rs. 390! This may come as a shock to you, but there are groups of people who get paid to leave negative feedback on Amazon products. If you’re successfully selling on Amazon, competitors may pay these people to leave negative reviews on your product, and there’s not much you can do about it. This can cost you the buy box and bring down your overall rank on Amazon. If you’re selling products under your brand name, unscrupulous merchants may use it to sell fake low-quality products at cheaper prices. The worst part is that if customers buy them, they may leave negative reviews on your authentic products. Amazon cares about buyers, not sellers. As a seller, you are required to maintain certain metrics in your account to remain in good standing with Amazon. There are many ill-intentioned Amazon sellers who have people purchase competitors’ products, then coordinate returns. If you get too many returns or bad reviews too fast, Amazon may flag your account and ban you overnight. The worst part is that there’s not much you can do except respond to each complaint one by one. If you’re a successful seller on Amazon, chances are you’ll encounter at least one of these issues at one point or another. The good news is that Amazon is constantly updating its algorithms to combat fake reviews, coordinated returns, and copycat products. But when one of the risks of only selling on Amazon is losing your business overnight, you still shouldn’t rely exclusively on this sales channel. 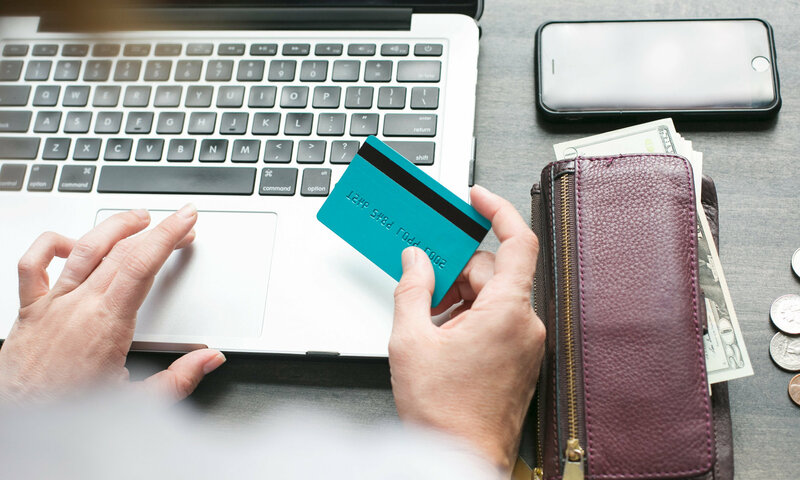 When you create your own eCommerce website, you can sell products under your brand name and retain 100% control over your store without worrying about bad marketplace etiquette. Keep in mind that you don’t have to ditch Amazon entirely; with your own eCommerce website, you can build a brand and use Amazon as an additional sales channel. Selling on Amazon commoditizes your product, even if it’s unique, and the benefits of branding go a long way. If you manufacture the products you’re selling on Amazon, you should definitely have an eCommerce website. Selling through your own website will save you a ton in marketplace fees, and you won’t have to compete for sales or a buy box. For long-term success, focus on establishing your own website and building a brand, as depending entirely on Amazon is too risky. Amazon is great for selling niche products such as yoga pants, massage oils, indoor plants, wooden sunglasses, and sugar-free cakes. Niche products are sold by fewer sellers, so you’ll have less competition. Amazon is also great for selling passion and hobby products such as handmade bags, handcrafted jewelry, and paintings. Because these products are unique, you’ll have zero competition in the marketplace. As we mentioned above, selling a Rs. 700 product on Amazon will cost you 28% of your profits in fees and taxes. So if you don’t have margins of at least 50%, don’t waste your time and energy selling on Amazon. Instead, channel your efforts into building a brand through your own website. If you resell commoditized products on Amazon, you’ll likely have to compete with several other merchants selling identical products. This means you’ll need to offer the most competitive price to win the buy box, which can kill your profit margins. In this case, Amazon is not the ideal channel to sell your products. Focus your efforts instead on differentiating your brand and your products through your own eCommerce website. Dropshipping products create no value for your customers, and are therefore the last thing you want to sell on Amazon. Because there are a ton of other merchants selling the same products, the only way to win sales is to lower your prices until your profits hit rock bottom. Not worth the trouble. To be successful in the long run, you absolutely should get a head start by selling on Amazon, even if you’re selling your own manufactured products under your brand name. You just shouldn’t put all your eggs in one basket. Remember, Amazon cares more about buyers than sellers, so you have no choice but to follow their rules or risk losing your business. On Amazon, you have no control over the platform, your branding, or the behavior of other sellers. That’s why you should also have your own eCommerce website through which you can build your brand, gain loyal customers, and have total control over your business.